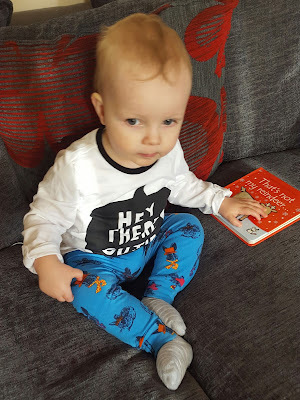 Welcome back to another What Joey Wore post. The weather this week has been quite lovely so Joey's been able to wear some of his summer clothes. 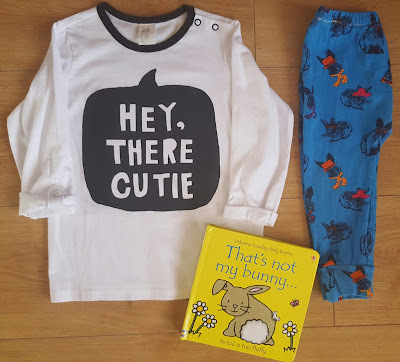 Joey's H&M top was bought a few weeks ago, it's age 1-1.5 and it's so massive but I loved the "Hey there cutie" text. Paired with his Benny the Bunny leggings, he's got so much wear out of these already. During the morning it was foggy and really cold and then by midday it had warmed up so I changed him into something cooler. 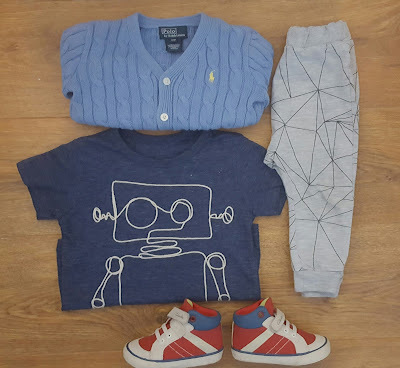 The robot top was a very recent purchase from the 2 for £10 offer, I think it goes really well with the Zara geometric print leggings. Even though it was warm I decided to throw his Ralph Lauren cardigan on while we went to the park. As always we're linking up with This Mama Life & Clearly Bex for Weekend Tot Style. 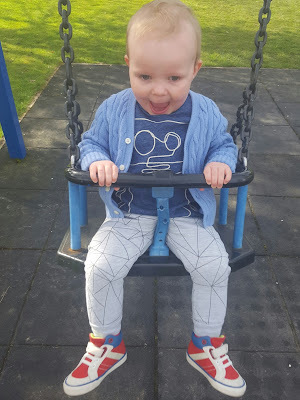 Also linking up with Make, Do and Push for Funky Kid Friday. Looking forward to seeing everyone's link ups. Love the cardi and leggings combo! He looks super stylish!